Stephen has worked in the consumer products arena for over 28 years with 18 of these in a purist licensing capacity. He also has first hand experience of retail, product design and manufacturing in both the UK and Far East. 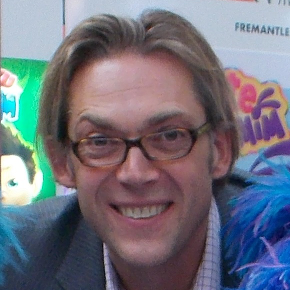 He has held senior licensing and brand positions with Hit Entertainment, Zodiak Entertainment and 4Kids Entertainment and Directorships with Fox Kids Europe (Disney XD), Ragdoll Worldwide and DreamWorks before joining DHX Media as Commercial Director in September 2013 and then transitioning to wholly owned CPLG as the Managing Director for the UK & Eire in June 2014. In addition to the CPLG portfolio which includes properties such as Minions, Jurassic World, The Secret Life of Pets, Teletubbies, In the Night Garden, Twirlywoos, Sesame Street, Care Bears, Start Trek, The Pink Panther, England Rugby and St Andrews Links he has also worked with many other blue ribbon brands including Bob the Builder; Barney; Teenage Mutant Ninja Turtles; Pokémon; Paddington Bear; Guinness, RAF, Kelly Brook and Microsoft Xbox.